Sol Republic is kicking it at CES 2013 with its latest pair of cans, the new $200 Master Tracks. These are Sol Republics first pair of over-ear headphones to come out since the debut of the $100 - $150 Tracks and Tracks HD on-ear offerings which we had the pleasure of reviewing last year. 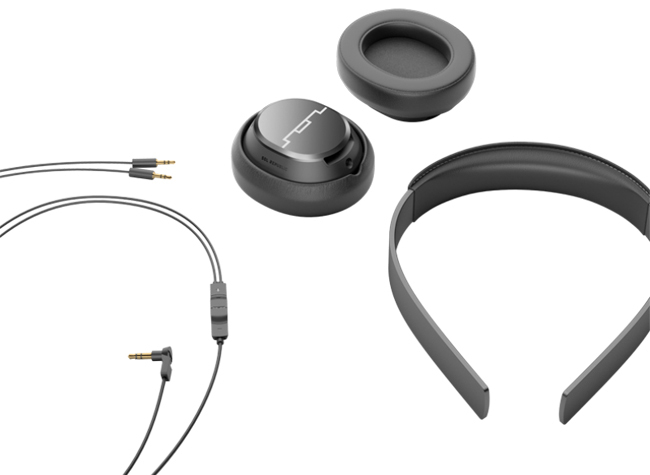 The Master Tracks stay true to the unique Sol Republic concept of having the superior durability as well as the ability to completely dissemble into three individual parts for portability. Sonically, the Master Tracks feature Sol Republic's newly developed X3 "Sound Engines" promise true sound that's balanced with powerful bass, clear highs and vocal accuracy. The articulating over-ear cups are padded with SonicSoft cushions for optimized noise isolation and comfort. Like the Tracks and Tracks HD headphones, the Master Tracks have an interchangeable headband which you could swap for a different colored one if you wish to customize a personal look for your Masters. The detachable tangle-free audio cable includes an in-line 3-button remote with mic that lets you control your music playback, take and make calls on the go. You can pre-order yours starting today for $200 in a gunmetal color. The Master Tracks will start to ship on February 25.